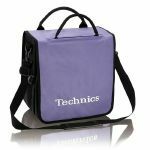 Notes: This trendy Record bag is a must for every Technics fan. Carry it like a bagpack, like a case or like a bag. The choice is yours! 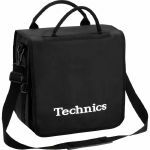 Notes: These trendy Technics branded record bags hold up to 50 records and have additional pockets for storing your extra dj equipment and accessories. 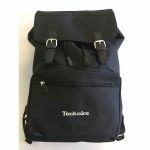 Ideal for the weekly record shopping trip or the shorter gig these bags can be used with the shoulder strap or as ruck sack. All with the Technics logo embroidered on the front. 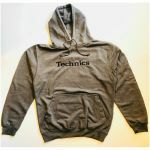 A must for all Technics fans. Notes: RCA cable for your Technics turntable - no need to worry about earthing your Technics turntable anymore! Notes: Protective cover for iPhone 5. Hard case. DMC World DJ Championships London 2016. Notes: Protective cover for iPhone 6. Hard case. DMC World DJ Championships London 2016. Notes: The Technics RP-DH1200 headphones are the headphones for the CD DJ. They are specifically designed for DJ use, come with the best possible frequency response, which means that these headphones will stand-out against the most rigorous of audio and durability tests in today's club environment. You want absolute quality, style and comfort on the street, on the train or at home? Could you use the durability that withstands the abuse a professional DJ dishes out night after night? These Technics phones will fit your needs. Notes: The Technic RP-DJ1200 headphones are very high quality DJ headphones featuring folding swivel arms for monitoring; extended frequency response; robust build quality and a straight cable. Notes: Technics RP-DJ1210 headphones have the best possible frequency response and design, and have been created specifically for DJ use. This means that the headphones will stand-out against the most rigorous of audio and durability tests in today's club environment. Technics RP series professional DJ headphones have been built with pro club-use in mind. Notes: DMC Vinyl Junkie iPad Cover for iPad Generation 1-3 only. We think this has to be the coolest, must have iPad cover for any dj, music lover or vinyl junkie anywhere! We think this has to be the coolest, must have phone cover for any dj, music lover or vinyl junkie anywhere!